The AMP Foundation is offering amazing Australians doing great things the chance to share in $1million in grants. AMP Tomorrow Makers come from all walks of life and work in a range of fields – from art to technology, science to social innovation and sport, film, fashion, music and medicine. Any Australian citizen or permanent resident who needs help to make their mark on the community can apply for a grant until 4pm (AEST) on 17 May, 2018. For FAQs, a sample application, poster and fact sheet, see the ‘Tips and tools’ page. For inspiration, check out previous Tomorrow Makers here. 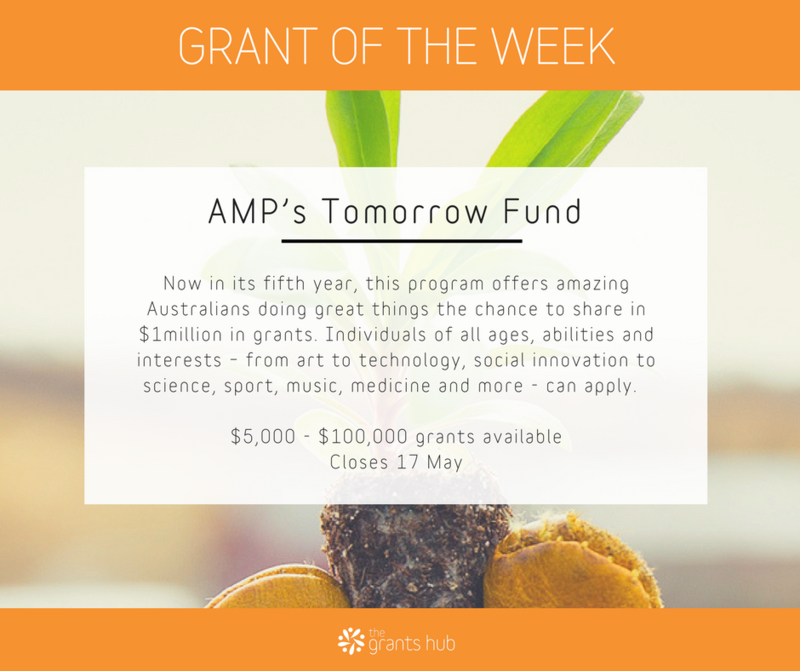 Visit the AMP Tomorrow Fund website to apply.